Gaining your first job as a nurse or midwife is becoming not only highly competitive but an increasingly more complex process. Get ahead of the other applicants with this practical guide offering application advice, interview preparation techniques, a comprehensive overview of the selection process and insider tips. 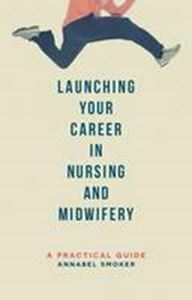 You'll also find a wealth of information on career planning, continuing professional development and next steps. Offering scenarios, practice questions and the thoughts and observation of newly qualified professionals...you want a job? Then you can't afford to be without this book.